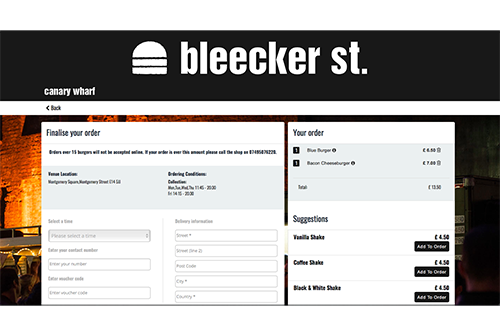 Increase sales and customer engagement with an online ordering and loyalty platform to suit your business. We build branded and bespoke websites, mobile and tablet solutions that offer a wide range of functionality, solving real world problems. 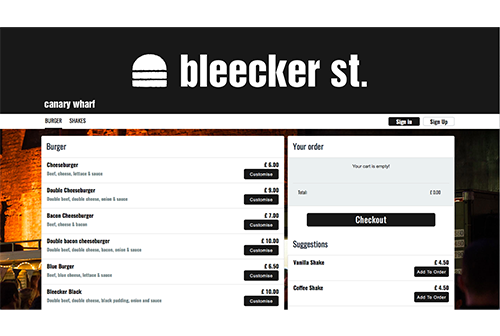 Clients include: Burger & Lobster, HSBC, Le Pain Quotidien, Grind & Co. and Bleecker Burger.